March 30th is the birthday of Vincent van Gogh, born in Holland in 1853, a famous painter and also great letter-writer. His letters were lively, engaging, and passionate; they also frequently reflect his struggles with bipolar disorder. He wrote: "What am I in the eyes of most people--a nonentity, an eccentric, or an unpleasant person--somebody who has no position in society and will never have; in short, the lowest of the low. All right, then--even if that were absolutely true, then I should one day like to show by my work what such an eccentric, such a nobody, has in his heart." He wrote thousands of letters to his brother Theo over the course of his life. Theo's widow published the van Gogh's letters to her husband in 1913. This quote serves as a good reminder how people with depression may have an altered perception of themselves. March 30 is also National Doctors' Day in the U.S. Other countries celebrate Doctors' Day on different dates. More than a quarter of primary care doctors reported being "burnt out." The United States loses the equivalent of at least one entire medical school class (approximately 400 physicians) each year to suicide. In other words, 300 to 400 doctors in the United States kill themselves every year, or roughly one per day. 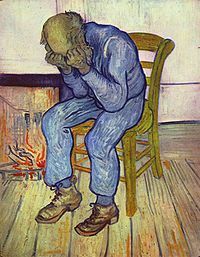 Male doctors have suicide rates 1.4 times that of the general population, while female doctors have twice the rate of depression and 2.3 times the suicide rate when compared with women who are not physicians. 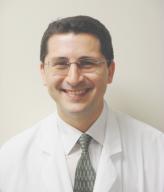 Ves Dimov, MD, ACP Member, is an allergist/immunologist and Assistant Professor of Medicine and Pediatrics at the University of Chicago, where he evaluates and treats both pediatric and adult patients. He is double board-certified in Allergy/Immunology (ABAI, a conjoint board of Medicine and Pediatrics) and Internal Medicine (ABIM). This post originally appeared at CasesBlog, his daily update of medical news.